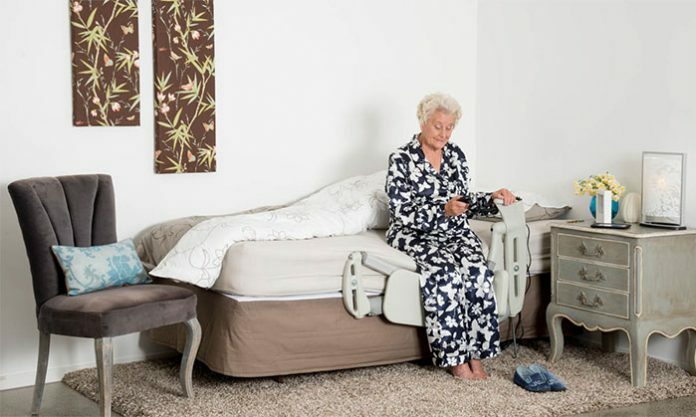 The Leg Lifter MK3L is designed to help individuals transition from a sitting position on the bed to a resting position. One of the major challenges facing the caregivers and therapists of elderly and disabled patients is mobility. Such patients need assistance to perform simple tasks and this could be tiring for the caregiver. The Leg Lifter MK3L is a power-driven device designed to help individuals transition from a sitting position on the bed to a resting position. It is incredibly useful for ambulatory patients who are able to move to a reasonable extent but are unable to lift their legs to a reasonable height. The Multifit leg lifter is electrically operated. The device is securely strapped to the base of the bed. Depending on the user’s requirements, two models are available. There is a model applicable to standard bed base, and another model for the base of electrically operated beds. The device works by lifting your legs from a sitting position onto the bed such that you then assume a lying position. Once you are set on the bed, you would need very little to no repositioning. This is because the device is expertly designed to position your legs comfortably on the bed. There is another version with a wider lift for people with swelling or leg edema. Once you are comfortably set on the bed, press and hold the ‘down’ button on the handset to return your leg to the starting position. Hook the handset at the side of the hand grip and snuggle off to a comfortable night rest. Should there be any obstruction in the movement of the lifter; the motor is turned off with the help of a safety bar on its lift arm. The green light on the device’s handset turns on when the device is in motion. It turns off when the device is fully raised or fully lowered. There is also a key lock that immobilizes the handset when removed although this is only available on request. You can purchase the leg lifter from their official website. The device is currently priced at $3,499 – $3,999.